All of Colosseo’s components, the Director HD, the 3D Visualizer, the Game-Show Manager and Designer are operating on the top of our Single Media Platform (SMP), simplifying operation, maintenance and connections. Colosseo’s SMP integrates all data in the venue and provides a base for advanced content generation. Connect various data sources (live camera feeds, statistical/data feeds, local content, web content, etc.) and unify them in one place. Tools on top of the SMP allows you to easily combine content (dynamically, pre-rendered, etc.) and create new content building an unrivalled experience in the venue with a minimum of effort. We make it as easy as possible to automatically generate reusable content that game show operators can quickly incorporate into their live game presentation. 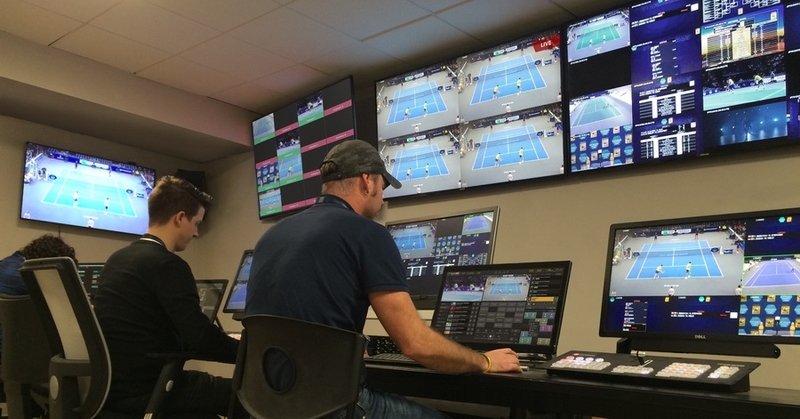 It doesn’t matter whether only one Colosseo component is connected or ten, all seamlessly integrate with the Director HD and each component’s functionality is available through both the controlling touch screen and the full-featured button-based desk with programmable keys and T-Bar (live production switcher). So whether it’s advertising zipping around perimeter and fascia screens or instant replays being shown on the scoreboard or marketing being displayed on TVs in the VIP lounges, everything is easily and quickly controlled by a minimum of staff using Colosseo components connected together with our amazing Single Media Platform. 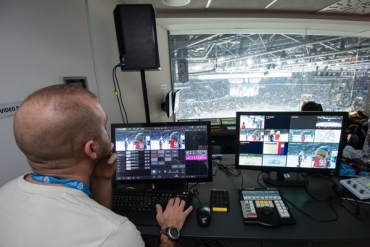 The Colosseo Director HD is a full featured video control system and advanced video processor allowing video mixing, switching, instant replays and CGI generation and integration, combining up to 24 HD/SDI inputs with an option for an additional DVI input. The system is designed for operating LED screens and scoreboards at sporting events with the focus on game presentation and marketing. It is easily operated by touch screen from the operator’s console. 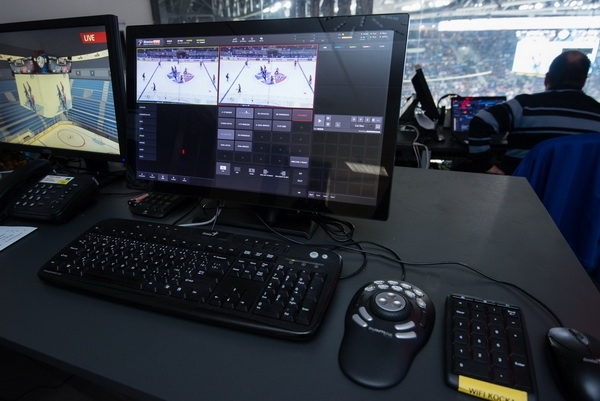 With triggers, automated actions, states, transitions, graphic overlays, animations with infinite layers, customized player, tournament or league slides, a wide variety of inputs (SDI, IP streams, DVI, screen capture, audio, intercom and tally-light communication) archiving and plug-and-play compatibility, Colosseo’s Replay Workstation is still easily controlled by just one operator.